Discovered and Thaught by Dr. Eric Pearl. Knowing that the New Energies are here: Invest in your Health, Life, and Future; jump start your healing, growth, prosperity and loving peace! The Reconnetion® is the activation of a human being’s innate ability to serve as an instrument of healing, to access an shift in consciousness that allows us to recognize, feel, absorb, and transmit an expanded level of universal healing intelligence. By simply opening to the universal intelligence and allowing the healing frequencies to come through, people can receive what they need instead of merely what we think the should have. 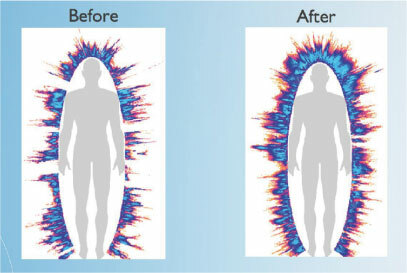 We can tap into the universal healing intelligence the same way that we can tap into sound, light, and electricity – through accessing and transmitting the vibrations emitted. The first step to accessing a force field is recognizing that it exist all around us. The next step is identifying, designing and building the transmission instrument. Some people receive a healing right away, in a physical form; others can receive it by noticing a specific illness or dis-ease has disappeared. And still others many not notice any thing at all, but still they are receiving a healing on a emotional, spiritual, and mental state. While still others will not notice any healing at all on any of these levels, but in the following days, weeks, or even months, they may start to realize the healing. One thing that is for sure, that has been based on many reports; that all healings are permanent. Time: Reconnective Healing® sessions typically last approximately 30 minutes plus 30 min. for consultation. The healings occur outside of the constraints of time and space, so more time is not better. One to three sessions are normally suggested. Have a Reconnective Healing® session today! Investment of $120 per session! Cynthia can do a Reconnective Healing® on your Pets or Planets; Invest in their health too! Disclaimer:* Cynthia E.H. Barnesky is not a physician, medical practitioner, veterinarian or other licensed healthcare provider and makes no representations, claims, promises or guarantees. * This work is complimentary to licensed healthcare fields and is not a substitute for medical or psychological diagnosis and treatment nor is it intended to treat specific health challenges. * Reconnective Healing® Practitioners do not diagnose conditions, nor do they prescribe substances, perform medical treatment, nor interfere with the treatment of a licensed medical professional. * You should not discontinue any medical treatment or medications unless advised to by a licensed healthcare provider. * You further state that you are seeking these services of my own free will and without guarantees and that you are solely responsible for my own, and/or my animal’s own medical care. 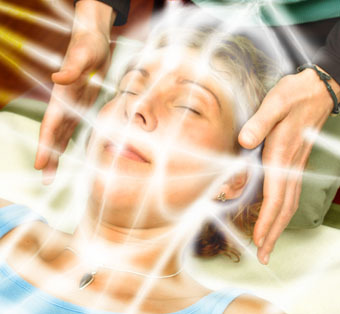 * Reconnective Healing® is one of the many non-licensed healing arts practiced in this jurisdiction.Reconnective Healing® can be long distance because of the healings occur outside of the constraints of time and space. Please fill out client form and email back to Cynthia: Reconnective Healing® Long Distance Session Client Form. Living in the Divine`s Energy, Light and Information of Love!!!!! !